This is the risk of racing a rare BMW on the Green Hell. 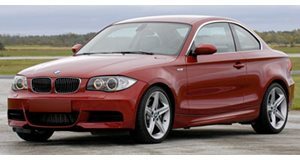 The BMW 1 Series M was a very rare, limited edition model. BMW only planned to build 2,700 units, but high demand forced the company to build 6,309 units total. Only 740 of these cars made it to the US, so seeing one isn't exactly easy. As rare as this car is, it just became even rarer. While driving on the Nurburgring, a 1 Series M lost control and crashed into a wall. After the spin out, the car's front bumper gets ripped off and you can see pieces of body work on the track. The extent of the damage is unknown. We're not sure whether or not the car will be totaled, but this crash does bring up an interesting question. Would you drive a rare car on the race track? If you do want to use it on the track, you run the risk of crashing it and killing off a car that was limited production. If you owned a rare car, would you take it to the track?